What is gauge? Gauge is the number of stitches and rows in a specified amount of inches (or cm). Most patterns will read: 15 stitches and 11 rows = 4″ in single crochet. What does that mean? When you make a swatch or in the finished piece of work, 15 stitches across measures 4″ and 11 rows measures 4″ when working single crochet stitches. So if you work your 15 stitches and 11 rows and they measure 3″ you are crocheting too tight. Switch to a larger hook or crochet looser stitches. If you work 15 stitches and 11 rows and they measure 5″ you are crocheting too loose. 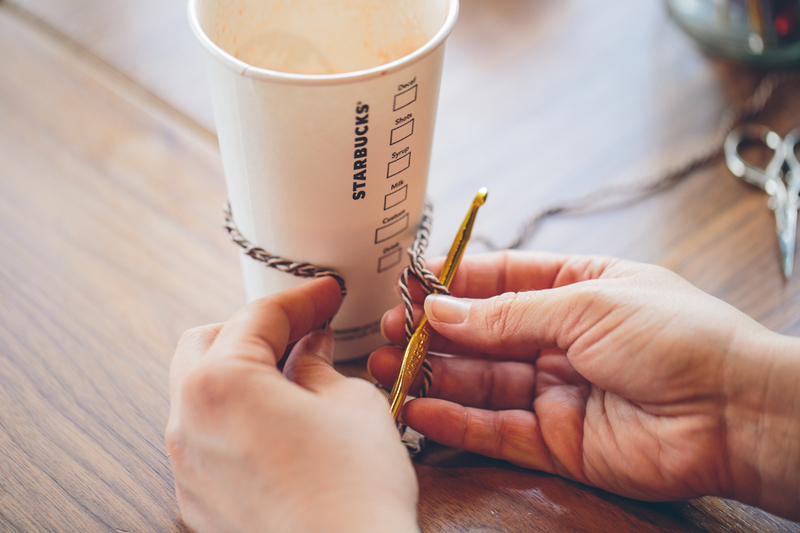 Switch to a smaller hook or crochet tighter stitches. I’ll be honest – I don’t like gauge. It’s not very free spirited. I’ve learned more about the importance of gauge while teaching classes. One week we worked on a coffee cozy. Very simple pattern – perfect for beginners. One student had a much looser gauge and the other much tighter. They were both a little discouraged when one cozy wouldn’t stay on and the other couldn’t get on the cup! But since the cozy is a very small project it was fun to talk about gauge and how we can adjust to make the pattern work for us. Gauge can be important – but it isn’t always an integral component for a successful project . When a project needs precise measurements or if you only want to use the exact yardage on an expensive skein of yarn, then gauge is very important. 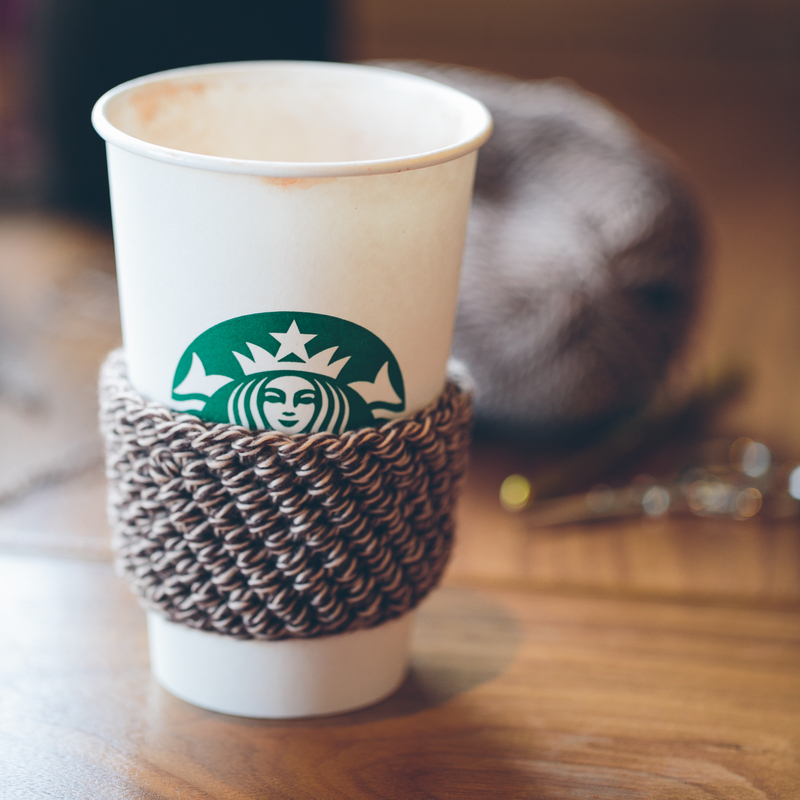 But crochet lends itself to the free spirit; you aren’t confined to loops on a knitting needle. You can finish off in one spot and begin at another in the blink of an eye. Learning how to adjust your gauge is an important skill, but don’t let it bog down your free and creative spirit.